Infocomm 2016: It’s That Time of the Year Again! Hopefully, what happens in Las Vegas doesn't stay in Vegas. The information from InfoComm 2016 will benefit all of the attendees when they arrive back home. The show will be held from June 4 – June 10. So, if you haven't, get you reservations in now. Unless you have your head in the sands of Nevada, you know that this is the largest professional AV trade show in North America, featuring the latest technologies for audio, video, display, projection, lighting and staging, digital signage, conferencing, digital content creation, networking, and signal distribution. This show could be very important if you are looking for a job in the industry. The InfoComm Career fair will allow you to meet employers, who are recruiting in the Exhibit Hall, booth N1675. Bring your resume. For those already in the industry, there are many good seminars and conferences, such as the "Future Trends" conference. You will get information on the latest cutting-edge technologies in the industry. It covers how the cloud has changed the industry and what in store for 4K, both the myths and possibilities. If you are new to AV or just preparing for the AV technologist certificate, you will want to attend the three day "Essentials of AV Technology" seminar, which gives an overview of the science and technology behind audio and visual systems integration. This year's "Technology in Higher Education" session is for technology managers, who are faced with the challenge of meeting students' expectations. Since the students have grown up in a connected environment, they expect interactive technologies to be used for learning. Live events take special handling. Therefore, if you want to be a live events manager, you should attend "Project Management for Live Events." You will learn how to satisfy your client, while handling issues with the house crews. Learn how to perform site surveys, assess risks and work with unions. 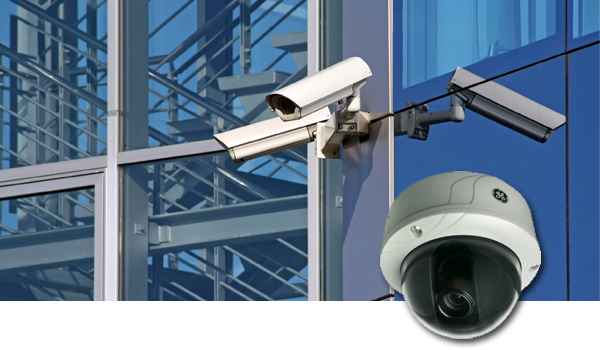 Upon completion of the "Video Surveillance System Components" course, you will understand both analog and network video surveillance systems. Security is becoming an important segment of the market and you should be able to apply AV design criteria to a surveillance system. A must attend is the "Crestron New Technology Showcase." They will be showcasing AV Framework™, Crestron Fusion® Cloud and PinPoint™, which make system installation, management and use easier. See the latest in audio technology and 4K streaming solutions. Designing, installing and using hardware-based signal switching and distribution is giving way to software-based switching and distribution. To learn more, attend "AV Over IP: A Better Mousetrap?" You will learn about AV/IP, including compression standards, GOPs, transport and streaming protocols, bandwidth requirements and a lot more. This is definitely the next generation of signal transport. The training sessions are not just technically oriented. 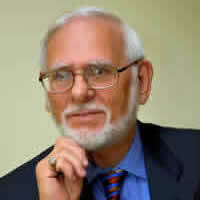 There are business seminars for managers, such as "Labor: Are You Making Enough Profit?" You can easily lose money on an installation if you undercharge for labor. Learn how to calculate your real costs for labor and overhead. This will help you determine your charge rate. There are so many learning opportunities at InfoComm that they should open a full-time school. So, take advantage of the sessions now available. InfoComm International members will get an exclusive "Early Bird Tour" of the show floor Wednesday at 8:00 am before the exhibits open, enabling you to maximize your time when the show opens. Sign up now. Now, what's new in the exhibit area? Here some solutions that I think will help you in your everyday business. Appotronics (booth C5460) is a leading provider of laser projectors based on its proprietary ALPD® laser phosphor technology. Appotronics is the first manufacturer to introduce and commercialize laser phosphor technology, which is now transforming the global projector industry. Appotronics offers a full range of display products, including portable, mainstream, and professional projectors, and video walls, all based on ALPD® technology. 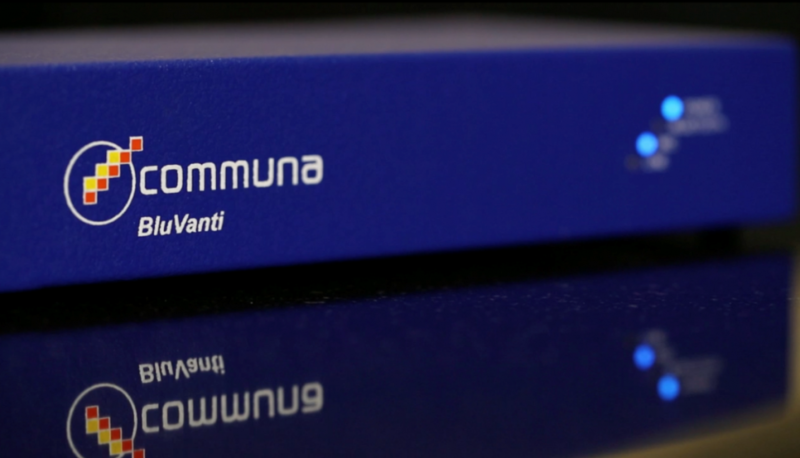 BluVanti™ (N2618) is a game changing product, destined to alter the way you connect with clients and colleagues. BluVanti™ is a commercial-grade Bluetooth interface allowing cell phone conference calls to integrate with existing room microphones and loudspeakers. It is just like connecting to an automobile’s Bluetooth system. Any Bluetooth enabled device will work, including mobile phones, tablets, laptops, etc. for room audio system integration with other conferencing applications. Cahoots (N2817) turns the phones of your staff, co-workers, and contractors into a live, multi-team intercom. Team members can speak instantly with any group or person in your organization without using 2-way radios. 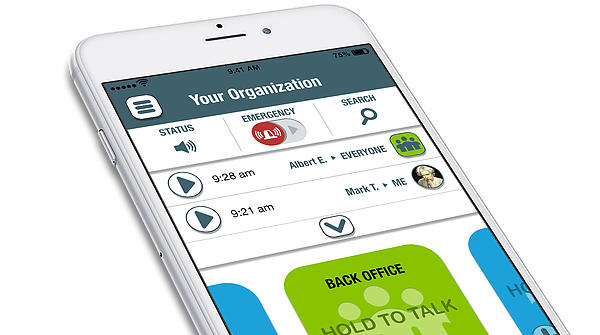 Emergency Mode informs everyone about an emergency or security threat, and an unlimited range keeps teams in touch across multiple locations. Deepsky (N1068) is an innovative company that is revolutionizing the large format display industry. Their focus is on ultra-high resolution LED displays. They design and manufacture seamless screens with sub-millimeter pixel pitch, with fantastic contrast and high brightness—allowing clients to digitize even the most demanding of environments. 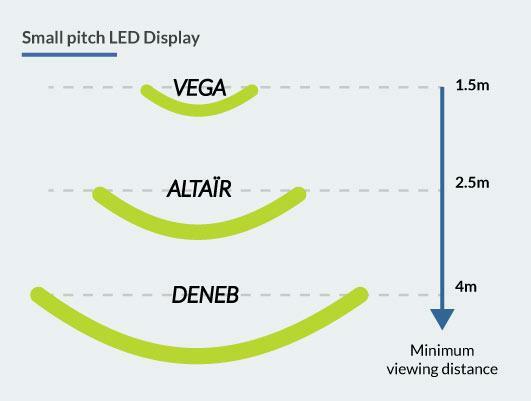 The pitch must be selected according to the desired minimum screen viewing distance. FrontRow (C10546) is a manufacturer of classroom amplification systems, resulting in attentive students, more comprehension, higher test scores and energized teachers. The systems are designed to evenly and clearly distribute classroom sound, essentially giving every student a front row seat. K-array (C12310) is a manufacturer of innovative audio solutions headquartered in Florence, Italy. The company concentrates its efforts and resources in the revolutionary design and manufacture of highly efficient audio systems that produce unparalleled performance. 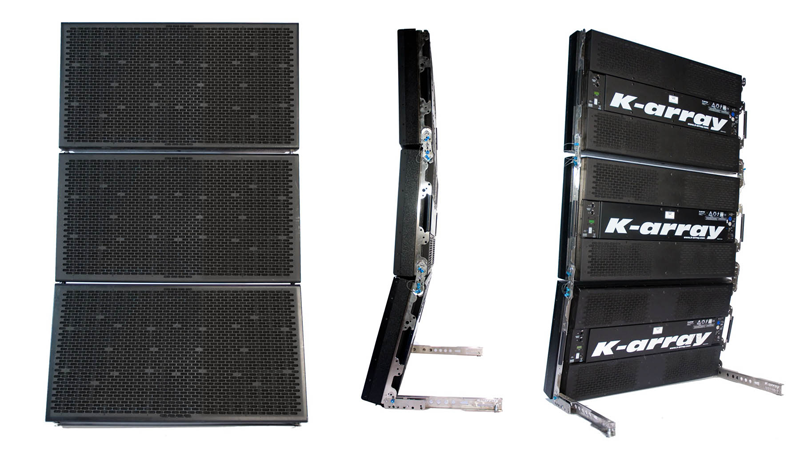 With an extensive portfolio of ultra-compact product lines for touring, events, installed sound and broadcast, K-array is exceeding industry demands for speakers that are heard but not seen. Silex (Smart Interactive Live Experience) in booth N2373j will show its new series of innovative Panoramic Telepresence Experience all-in-one video conferencing and collaboration systems, designed with multiple touch screens and multiple cameras. It provides a unique panoramic coverage experience, perfect eye contact during video calls, unparalleled audio quality and seamless collaboration experience. Their new Center of Table collaboration concept is a game changer in the unified communications industry. SnapStream's (N2731) new Enterprise TV Server is a television search appliance, combining powerful DVR and search engine technologies. You can record 1000s of hours of TV and then search inside shows by keyword to find clips of interest. It can be used for media monitoring, television clipping, content analysis, broadcast television airchecks, public relations, radio production, and advertising monitoring. Strong/MDI (N24211) is the go-to-company when it comes to specialty screen solutions for commercial applications. They manufacture front and rear view projection surfaces for fixed or motorized systems of any size. They also develop custom screen support structures made exactly to your specifications. Veto Pro Pac Tool Bags (C10551) are designed with the company’s patented center panel and hinged ergonomic handle, vertically tiered pockets, heavy duty construction and stabilizing injection molded waterproof base that keeps tools dry in the nastiest of conditions. Their tool bags offer immediate visual inventory and access to your tools, and their ergonomic platforms protect and transport tools to and from the jobsite. The success of InfoComm has been outstanding. No other show can compare to the educational value and the latest in audiovisual technology. There is nothing that can't be found to help your career among the 950 exhibitors. InfoComm is a great place to network and build advantageous business relationships. It's always great to meet suppliers face-to-face, and ask detailed questions, which can make your business run more smoothly. The training sessions can prepare you to find new sources of revenue. Most of us are interested in new concepts, but you might observe some ideas that you never considered before. If so, ask questions, listen, and keep your mind open. Collect brochures and share them with your associates when you arrive back home. You will get out of InfoComm what you put into it. Plan ahead and set objectives or you will find that time has run away and won't have achieved what you set out to do. Allow time for unplanned meetings. They always happen. Have a great show!